Cast your reel and join Nat Geo WILD on an urban fishing adventure in new series FISH MY CITY WITH MIKE IACONELLI. 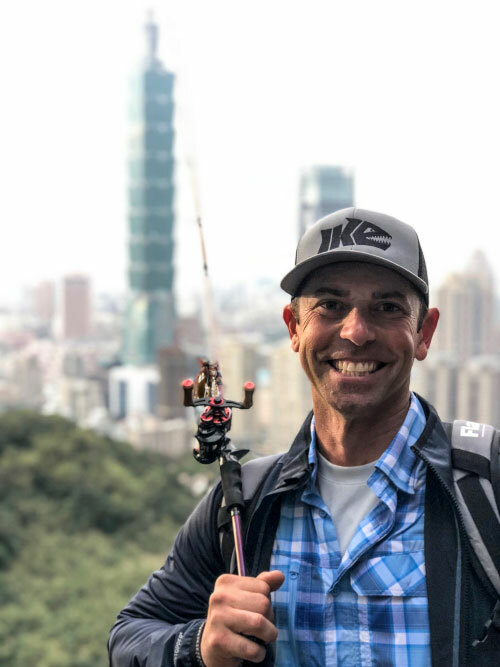 Follow award-winning professional bass fisherman and TV personality Mike “Ike” Iaconelli (@mike_Iaconelli) on his global search for the world’s most iconic fish living alongside some of the world’s busiest concrete jungles. From London to Miami, New York to Taipei, and New Orleans to Austin, Ike traverses the globe, stalking iconic fish and confronting astonishing fish of all shapes and sizes in the most unexpected metropolitan locations. In each episode, Iaconelli guides viewers on an unpredictable journey through a different major city, uncovering the often-untold stories of strange and amazing fish lurking in rivers, ponds, canals and—yes, sewer systems!—of major cities worldwide. Along the way he encounters old friends and knowledgeable locals with invaluable intel, hunts down mysterious habitats and chases urban legends, all in a bid to come face-to-face with the most legendary fish species of each city. As he winds through waterways, Iaconelli showcases the magnificent fish, unearthing their history and connection to each city and exposing their behavior, biology and unique nuances. Mike Iaconelli is a South Philadelphia native who now lives in New Jersey. He’s had a passion for fishing since childhood and has been competing in fishing tournaments since high school. Iaconelli has won, or come close to winning, almost every major award in tournament bass fishing, most notably the 2003 Bassmaster Classic and 2006 Angler-of-the-Year awards. Mike Iaconelli heads to New York City for the ultimate urban fishing experience in one of the greatest cities on Earth. Between the Hudson River, East River and Jamaica Bay, fishermen can find amazing fishing opportunities right in the city. On this adventure Iaconelli’s bucket-list fish include the striped bass — the most iconic fish in New York; the fluke — a master of disguise; and the bluefish — a prized gamefish famous for its fight. Will he complete his bucket list as he fishes through the Big Apple? Mike Iaconelli travels to New Orleans in search of three of the city’s most iconic fish species. It won’t be easy, as he must deal with a fearsome prehistoric predator that can grow to 10 feet long, challenging weather conditions and unusual events happening in the city’s flood control system. To complete his bucket list he’ll need to explore New Orleans’ many urban waterways and revisit the scene of his most important tournament win. Mike Iaconelli travels to London in search of three of the great city’s most iconic fish species. One is a fearsome predator that will even devour birds, another is piscine royalty that is often known as “The Prince of the River” and last is a sentimental favorite that recovered from a devastating disease outbreak. To find them he must explore London’s many urban waterways and uncover this ancient city’s long fishing history. Miami is known as the Magic City, Florida is known as the fishing capital of the world and Mike Iaconelli is known for loving a great challenge. Doubling down, Iaconelli challenges himself to catch six different species of fish: three exotic species that have all traveled a long way to make themselves at home in Miami’s freshwater canals and three saltwater classics, including the fastest and one of the oldest fish living today. Mike Iaconelli ventures to Austin in search of three of Texas’ most amazing fish: a fish so intelligent it can outsmart the average fisherman and sneakily escape, another that is so rare it’s found nowhere else on the planet, and an enormous and incredibly secretive fish that requires days of fishing to catch. Along the way we will witness Austin’s finest lakes and rivers and discover that fishing is the perfect window into a city’s history, nature and lifeblood. FISH MY CITY WITH MIKE IACONELLI is produced by NHNZ Natural History New Zealand for Nat Geo WILD. For NHNZ, executive producers are Liz Brach and Rob Worsoff. For Nat Geo WILD, executive producer is Pam Caragol and executive vice president and general manager is Geoff Daniels. We’re NHNZ, an international production company that sees the world a little differently. Maybe that’s because we’re located on the edge of it. Based in Dunedin, on New Zealand’s south-east corner, we collaborate with some of the world's best filmmakers to make factual TV for the biggest global broadcasters. Over the years, we've made original content for PBS, Discovery Channels, Animal Planet, A&E Bio Channel, Smithsonian Channel, National Geographic Channels, NHK, CCTV, Travel Channel, Arte and France Télévisions. We've also picked up over 300 awards along the way, including the Wildscreen Panda and a number of Emmy Awards. Now part of the Blue Ant Media family, we've been sharing some of the planet's most interesting stories for 40 years. And we're as dedicated as ever to creating programmes from a different perspective.